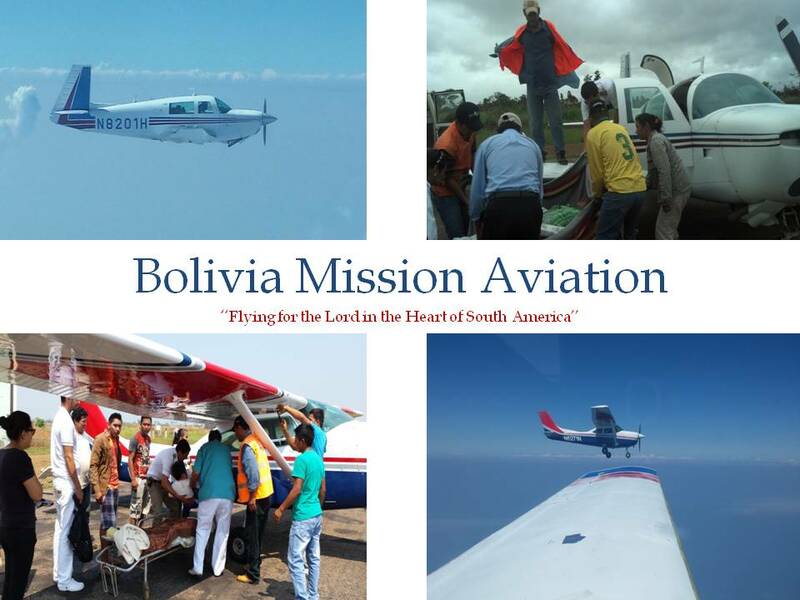 Bolivia Mission Aviation: Flying for God, round 2! Flying for God, round 2! It has been several months since I last wrote, thus I feel the need to update what great things God has been doing in Bolivia. After a short break in the states I returned in July to continue my work as a missionary pilot. The weather was much cooler and very windy as the season had changed to winter. A very different kind of cold was in the air. Not the Michigan cold that I was used to, but a dry cold that made you want to run to keep warm. Even though it was only in the mid 50’s, my body was not ready for the change after months of mid 90’s. Never the less, I set myself to work making blocks for construction projects in the near future. We have a machine here that allows us to form block after one mixes the right amount of cement, rock, and sand. One of the projects is the house for Steve Wilson, a pilot who has been here in Bolivia before my time and is getting married almost as I write this. He will be returning to Bolivia in January and hopefully to a house. After making enough block, we set out on building Steve’s house. I had never laid a foundation before, but with the help of others who had built houses before we laid the foundation in late October. Then it was off to transport hundreds of blocks to the work site. After a month of hard work, we had laid most of the block and we have what actually looks like a nice house. Praise the Lord! Now we need to put a roof on it and some windows, doors and it will be almost livable. I also worked on a small house that David Gates is building nearby on the property. The construction methods for his house are very different then Steve’s house as he will be building his house out of ceramic block which is much cheaper and easily available in Bolivia. As I speak, his house walls are about half way up. Just a few more days and it will look and almost ready to move in. God has been good, I’ve getting plenty of exercise on the days that I don’t fly. Who needs a gym! Now to the airplanes, a few weeks passed and soon Jeff was back with the Aerostar which meant that it was time to start flying again. I made several trips for the schools up north and was glad once again to be flying my favorite airplane. Even though our other airplanes did not have permission to fly, the Aerostar allowed for the work to continue. Hauling cargo and missionaries has become a normal part of my work here. Every flight is a loaded flight, making the most use of the airplane. In September I was told that I would be flying a group of people for the “Caravan of Hope”. It consisted of Robert Costas, speaker for “it is written” in Spanish and Bolivian mission pastors and treasurer, in addition to a recording artist and a camera guy. Even our own TV director for RedAdvenir would accompany us on some of the flights. All of them would need to be flown to various venues around Bolivia to close out the month long seminars in the various cities and at the same time have mass baptisms. The flights were very demanding with tight schedules and difficult legs which required a lot of planning. One of the legs consisted of a flight over 10,000 ft. mountains and with the full load it meant several trips to get all the passengers out safely. On other flights, the skies were filled with smoke from jungle being burned by farmers, which made some approaches tricky. But the Lord protected and guided and the caravan had high success in all of the venues. I was able to witness firsthand how hundreds of people would come forward seeking baptisms. Never before had I felt better used for His service than when I saw the results of me flying these pastors and staff. God had truly blessed and he was using one of GMI’s aircraft to help grow the church. I feel very fortunate and blessed to have been a part of this great opportunity. With good news there always seems to be some bad. In August, the propeller and brakes along with several small items were stolen off the Turbo 182. We spent some serious time getting to the bottom of the theft, but after lots of headaches, we had to buy a new one. But God is good and in the process we were lead to Hanger where we could store our airplanes in safety. The plane now has the new propeller installed and soon will be flying again. Jeff called me the other day and gave me some very positive news. I don’t expect to see these airplanes grounded very much longer. Let’s keep praying! In late September, some of the buildings at the school in Guyarra caught fire. All of them were burned to the ground in a matter of minutes after a trash fire blew onto the thatch roofs. Even though many belonging were lost, no one was hurt. Many of the students, who lost things, received new replacements and additional funds were collected to make new building out of brick. Construction has begun on new class rooms and by the beginning of next school year, things will look a lot more promising. I also made several flights outside the country in the past few months. The Aerostar and Twin Comanche both receive 30 day permissions to fly in country. The only way to renew is to fly them out and back in. I made flights into Brazil and Argentina to fulfill this silly requirement. On one of the flights, late at night over the jungle, I was flying the Aerostar to Brazil. As I neared closer to my destination, no one was replying to my calls. Knowing full well that many airports in the area do not have runway lights, I started to feel very uneasy about the situation. The nearest alternate was more than one hour away and I did not have the fuel to make it. All kinds of thoughts ran through my head, should I climb higher and try to make a mayday call? What about landing on that road? Or maybe I’ll just head for the airport and feel my way down with GPS? I called a nearby airport that I knew was closed in an attempt to raise anybody on the radio. I didn’t’ even know if they had runway lights! After a couple calls, to my surprise somebody replied! I told him the situation and after discovering he had lights and I only 20 minutes of fuel, I headed straight for airport. I landed and taxied to the ramp where I was greeted by the tower guy and a civil aviation inspector. The tower guy told me how he was out of the tower and was headed back to shut down the radio when he heard my calls. Can you believe that? I was stunned! With nowhere to go, the Lord provided a way out. I can’t wait to get to heaven and hear my guardian angel tell me the whole story! As I lay in my bed that night, I thought of all the times He has seen me trough the most difficult flying I’ve had to do in my short career. With great faith I can testify that he has protected and guided me these may months in Bolivia. His work is being carried out, and Satan is angry and will try whatever he can to try and make it fail. Ever since I gave myself to the Lords service, I have felt his mighty hand in my flying. The Lord has given me wisdom to fly His airplanes and he has delivered me every time I needed it. As His pilot flying His airplanes I have nothing to fear. Time is flying by really fast now. I have a few more weeks of flying before I return to the states. I plan to return to Bolivia early next year, even though I do not know how as the funds are not in yet. But I have built up my faith here in the mission field, and I have no doubt that he will provide the money. One thing I’ve learned about being a missionary is this, sometimes you think you are going to the mission field to help others, but it the end its you that has been most benefited and your life changed. I feel so blessed to have been sent here to serve and I pray that anyone who has a desire to do the Lord’s work, to come and experience it. It’s not easy sometimes, but in the end you will see what I’m talking about and you will only understand after experiencing it! Amen, to letting God lead and working in the mission field. I'm proud of you Herman. Keep up the work of letting God use you.